Especially this guy. And like, most of the UK. As I do love a good barbecue as much as the next man, I decided to try to fire up the wood oven and see if I couldn't use it to cook a piece of meat that might normally be grilled with the (rather extraordinary) tools at hand. I had an absolute terrific piece of pork cheek (guanciale) that I figured would be perfectly suited to the task. He's a cheeky lad, isn't he? Sorry, I'll show myself out. Guanciale is usually cured and dried, then used in such classic dishes as carbonara or amatriciana. Coming from the Italian word for cheek (guancia), the cut combines the strong flavours of the head with a rich fat content, which gives it both an intense taste and a delicate texture. Because the fat usually melts away as it cooks, the result somewhere between an intense slab of bacon and a thick steak. 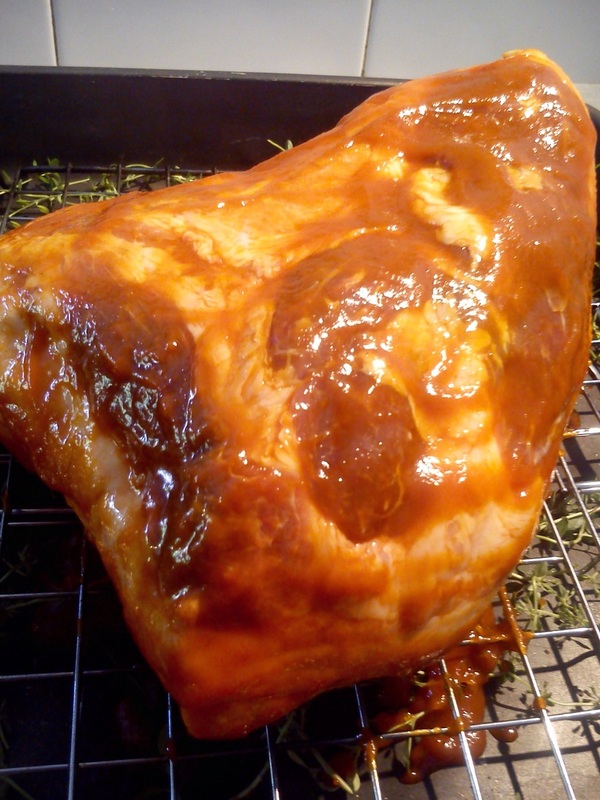 Rather than curing it (as guanciale is traditionally prepared) I wanted to use it fresh, with a simple marinade in our homemade ketchup to add a sweet and sour flavour. I kept it for about 24 hours in the fridge, at which point I would slow cook it at a low temperature in the oven until soft and flaky (keep it covered to let all that steam and liquid do the work for you). I planned to fire it in the oven to finish it off with a blackened, crispy outside somewhat similar to the barbecue effect. However, the wood oven creates the effect with much less trauma to the actual meat, as the heat of the wood on the stone indirectly interacts with the food you're cooking, rather than roasting it directly over the flames. A word about wood ovens, and how to actually tame this particular beast. On the one hand, it is as simple as loading it with wood and setting it alight in one corner of the oven. Depending on the size of the oven the precise measure of how much wood you'll need will vary. Generally speaking, the stone will turn white as it heats up and once it does you can begin cooking. However, and especially if you're using meat, you'll really need an infrared thermometer to gauge the heat which are easy to find on Amazon for about 20-30 euro/dollars/pounds (let's face it, they're just about the same these days #thanksbrexit). Its important to remember that a wood oven needs to be hot. Like, really hot. We got the wood oven up to 424° Celsius (about 800° F) and it was a great temperature for pizzas, breads, and meat (but do mind it if you're trying to cook vegetables, as it will routinely incinerate them) and were able to keep it there fairly easily. But it does take a fair amount of wood to feed an oven, so before purchasing or building one you'll want to make sure you've got a steady supply. Well to put it mildly, it didn't. Two things happened to thwart what would have otherwise been a stellar specimen. 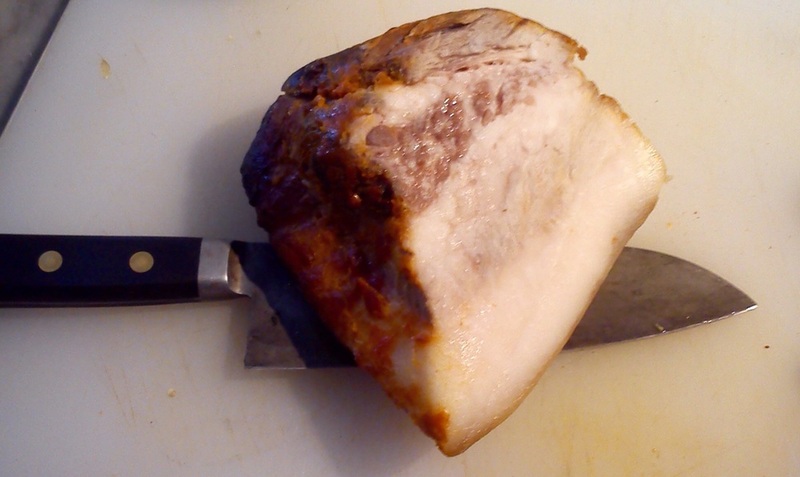 First, while I was in the midst of prepping, I got the surprise news that I would have to serve a group of people who had shown up at the restaurant; having no other protein than this beautiful piece of guanciale that I had eased into the world with the best intentions, I had to serve it slow cooked but not fire roasted. At the end of service, I had about a quarter of the cheek left. It did get rave reviews all the same so, win? But I was undeterred! 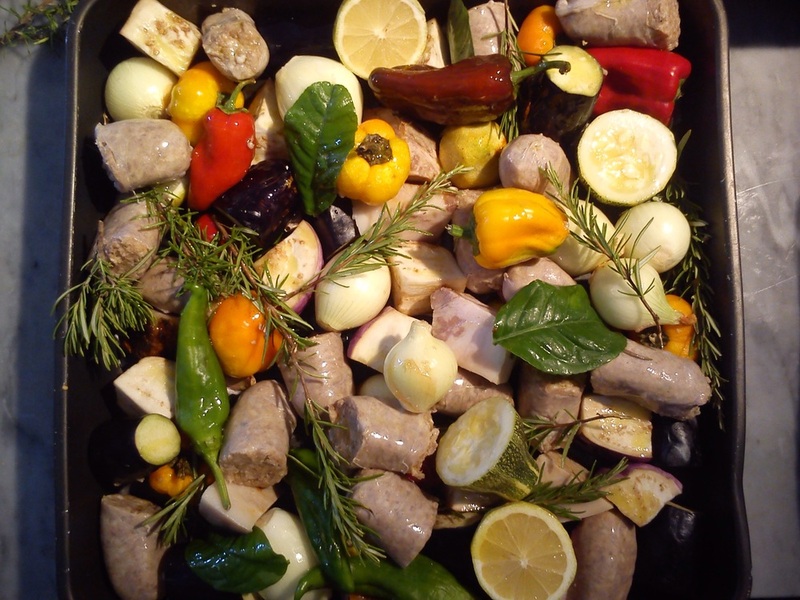 So I broke up the guanciale and added some homemade sausages, peppers, zucchini, eggplant, onions, rosemary and lemon leaves and damnit, I was going to let them roast in that wood oven if it was the last thing on earth I did. 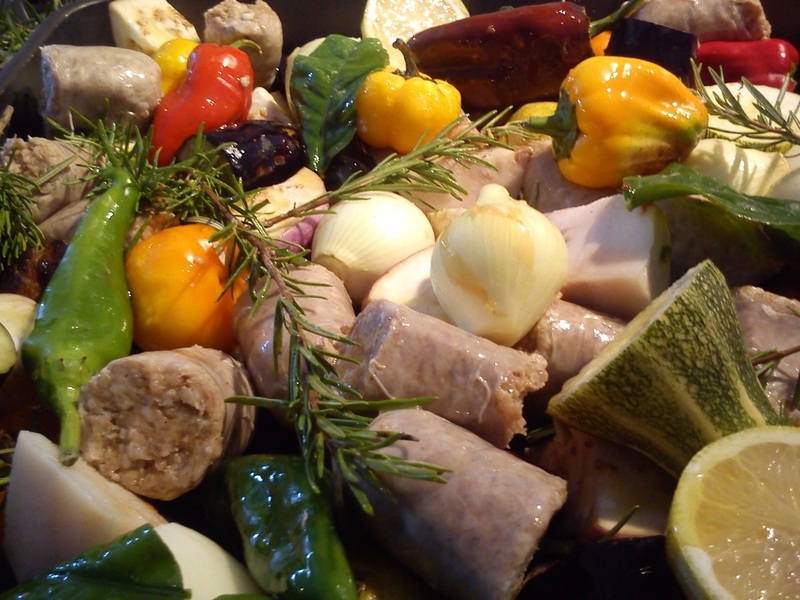 I tossed everything in Olive Oil and got it ready for the wood oven. However lest you forget, vegetables in too high heat will sort of incinerate and explode so in this case, I left the pan fairly close to the door of the oven and was able to monitor the temperature very well. Which brings me to my second problem. I was so glad to have salvaged the concept and wanted to serve it straightaway which indeed, I did. I served every last bit of it, and absolutely forgot to take a picture. And as we all know, if it's not on Instagram, did it ever really happen? Only the oven knows. So, was it a success? Well, kind of. It made me think of different ways to work with cuts of meat as well as expanding my arsenal of cooking methods, so that's great. Would I do it again? Well, that would mean that I would have done it the first time so, sure. Do I think it's always important when running a very small restaurant for people to make reservations as far in advance as they can. Yes, yes I do.